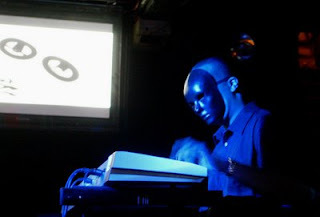 I received a report and pictures of Dopplereffekt in Paris on 25th October from one of my readers. Original flyer pictured. It covers the whole postponement and rescheduling of the show which I found very interesting and hope you do too from the genuine concert goer/fans perspective. Links to YouTube videos of show etc given at base of article. 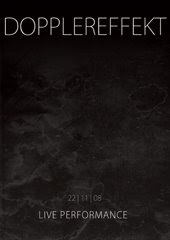 This just in, It has just been announced that Dopplereffekt will be playing in Malta on 22nd Nov 2008. Full details below, flyer at base of article. Also now confirmed for Geneva in Switzerland on 8th November 2008. See following link for more details, flyer at base of article. 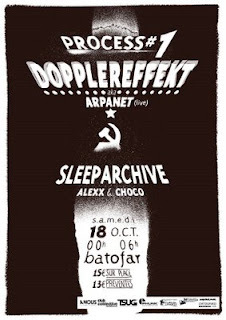 Dopplereffekt also now confirmed for Barcelona with Aux 88 on 14th November 2008. This is quite a tour, keep eyes peeled for more and send info here. Late September and I am wandering on the Internet flipping through websites when I enter for the 1000th time "dopplereffekt live" in Google Search. The results were all very common, pointing at YouTube videos, last.fm songs, etc... But something new popped up my screen. 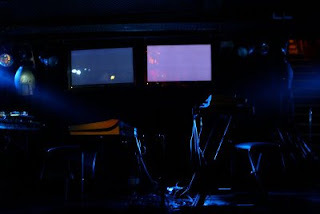 I saw those words : "Batofar [...] Paris [...] Dopplereffekt [...] Live". I was like, God they're going to play in Paris! I was so excited at that moment as I greatly regretted missing their very unique live show at La Géode about two years ago. But they were going to make it again! I found a presale website, the ticket was 15.40 euro. It was like a dream to be able to see them live for the first time. I must say that I'm completely fond of their music, whatever the alias, whatever the decade. I'm used to watching their YouTube videos something like 20 times on a daily basis. I made my way to Paris on Saturday the 18th of October. The show was scheduled at midnight. It took place at "Le Batofar" along the river Seine and nearby the huge "François Mitterand" library. When I finally got to Le Batofar, neither was there a crowd, nor waiting queues... What a surprise! Then I asked a security guard "Is the show about to start? ", "Sorry we have hi-fi issues tonight, it's postponed 90 minutes. The show is going to start at 01:30 am, but do enter on the deck and have a drink. ", he said with a frank smile. I had a beer or two on the deck and it became really painful to wait. 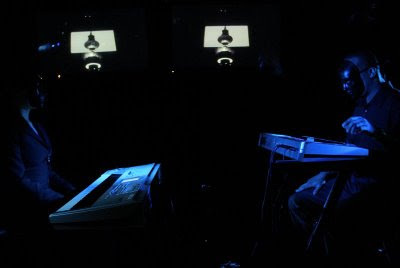 The thing that struck me was the people coming to Le Batofar as I've always wondered what does the Dopplereffekt audience look like and basically none of them seemed there to attend the show. I was like " Are they coming to attend the show or is Le Batofar a hip place to be?" I was definitely right and the security guard with his 'smile' had deliberately mislead me. Actually the show happened downstairs and when I came out of the deck I saw a huge waiting queue on the other side of Le Batofar. To be honest around 150 persons were waiting. I heard a guy from Genève (Swiss) give the security guard hell and so did I. I reckon it was 01:00 am when we joined the waiting queue. Five minutes later everybody was talking about the technical issue they had to face. Then the organizer came out to say "It's gonna be difficult to see them live tonight, we are really sorry." 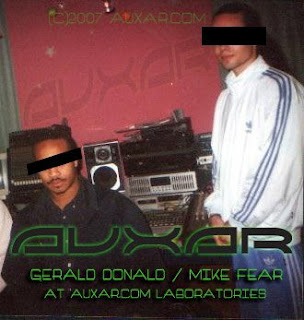 I asked why and he answered, "There's a technical issue on Gerald's synth". But what kind of issue I asked? "There's actually not enough RAM, we called on one hundred persons tonight to solve the problem but we did not find RAM supplies. Sorry. You can now enter for free and your presale ticket will be totally refunded." I was like, come on not enough RAM?! It happened a couple of month ago! Why didn't they manage to bring RAM supplies to prevent this kind of unfortunate issue? I was astonished and I went back to Bordeaux, my home town. 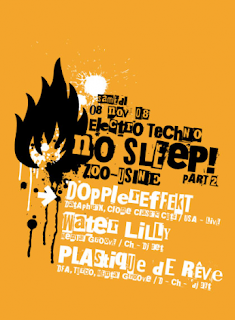 This week, I received an email from Le Batofar basically saying that Dopplereffekt will play live on Saturday the 25th of October. So they accepted either to stay in Paris or to be back a week later. Great news! I made my way to Paris again. The show was scheduled at 08:00 pm and actually doors open at 08:00 PM, the live performance was scheduled at 09:30 pm... Well... A very very long wait. A DJ was mixing strange pieces of music, without any transitions, tweaking the knobs when you wouldn't and to be honest nobody cared about him. The audience gave no acknowledgement but he kept going. At 09:30 pm we were absolutely fed up of him because we were all waiting for Dopplereffekt and his mix definitely did not help us enter the atmosphere of the upcoming show. 09:40 pm he was still mixing. 09:50 pm... 10:00 pm... 10:05 pm the organizer came up and he made a sign with his hand "five minutes". At that moment I felt my heart beat a little harder. The event I've been waiting for ages was about to happen for real. At 10:08 pm, they shut down the light and the atmosphere became really dark, only two blue lights were still on. The door opened and To Nhan Le Thi and Gerald walked quickly to their synths. They began playing immediately after. I laughed when I saw their masks. Like latex ones veiling their entire face. Sadomasochism? I suppose. To Nhan Le Thi was a little lower than Gerald. They were wearing classic dark clothes like scientific lecturers. - Hyperelleptic Surfaces, the final part with the tweaked choirs. - Intro track from La Géode live Youtube video part 2. - Track with many layers, see the Bios live show (Athens) video on YouTube. - Hyperelleptic Surfaces, part 2, when the bassline starts. - This awesome brand new track they first played at Malmo (Swe) last Feb 2008. Very aquatic, very smooth. - This track like a trance tune, very colliding, very fast pace, also appeared live in Malmo in Feb 2008 (actually they already played this one a year ago in Malmo but the tempo was slower). - Roche Limit, the version they played at La Géode (YouTube video part 8) or during the Kontramusik festival in 2007. - Track from Dopplereffekt Live at Kontramusik festival, Malmo, Youtube Video. On a technical note. Two Korg synths. A huge 88 keys Triton Studio for Kim and the usual 61 keys Triton LE for Gerald. The EXB-SMPL sampling option was onboard. Each layer is a sample he creates with this option. They were both linked via a MIDI cable. No damper, no individual audio outputs. As you can see on the pictures, To Nhan Le Thi was a little lower than Gerald like a slave and the MIDI configuration was exactly the same. The MIDI cable was plugged in the "MIDI OUT" of Gerald's synth going to the "MIDI IN" of her one so he can control program changes on the Triton Studio and a variety of parameters I guess. The LE is running a "cuelist". To conclude I have nothing more to say about the tracks they played. They are all very well known. The same goes for the sequencing... Done again and again! I do have to mention the counting thing that Gerald is known to do. He relentlessly did the same thing throughout the show. I sometimes laughed when he followed the sound textures with his entire hand! Shaking his fingers very quickly! I also have to mention the robot-like choreography they had. Well, most of the time Gerald was adding layers and looking at his synth, To Nhan Le Thi was on standby in a very literal way, like a robot waiting for a command looking at Gerald. Then, when it was up to her to add choir layers, he looked up to her and she began playing. The funniest thing is when they quit... With the same choreography they looked at each other and did a "yes" movement with their heads and instantly left the stage. 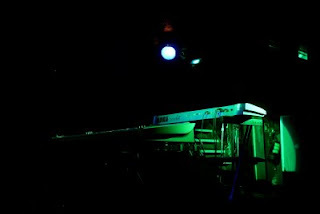 Synths were still playing and when they stopped playback, the audience applauded two machines and an empty stage... Just like "quick quick quick we have to leave now". Gerald took an emergency exit instead of using the correct backstage door. I frankly wonder how do they choose the place for their live concerts. Le Batofar definitely does not fit. The atmosphere didn't suit, the video set was actually quite poor : two LCD screens facing the audience and the stage really tight. Their last performance in Sweden was something different with a huge overhead projector leaving them in the dark. I personally think that the sound was too bassy. Sometimes it was very colliding and even hiding the rest of the tune. I left Le Batofar with a strange feeling. On the one hand, I saw my favourite band playing a very rare live performance they accepted to postpone in such a short notice, on the other hand I thought they definitely did not feel a sense of duty for all the fans coming as far away as Switzerland or people like me making their way to Paris. I mean, the track listing was kind of refurbished, the show lasted 45 minutes and had been 2 hours delayed and the way they left the stage did not make me think "I've had a very enjoyable time". 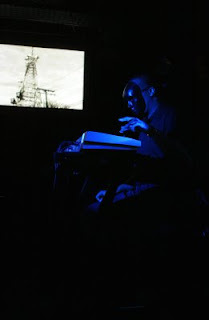 When Dopplereffekt played Glasgow back in June 2008 there was a Podcast made to promote it which is not a bad introduction to everything Heinrich Mueller related. There is at last some music on the Daughter Produkt MySpace, thanks to one of my readers for noticing. The site for this project has been up since November 2007 which makes it almost a year of expectation until this beginning of fulfilment, (which never comes). Surprisingly it had already clocked up almost 5000 views without any music so it hasn‘t gone unnoticed. But to back track a little, at the time Douglas McCarthy, possibly he of Nitzer Ebb fame, was listed as being a member but now no more. The members currently listed are Moreno Paradox and Heinrich Mueller. The country of origin is now listed as Spain and Germany. A female, surprise, speaks throughout the sole track which you will now find there. So I guess she is Moreno Paradox and is Spanish. She speaks English but with an accent. There is no other new additional information to my knowledge on the page, they don't go in for top friends or their comments either, it's a very minimal layout, but they do have a clock! This is new text, I had forgotten that ages ago someone left a comment that Moreno Paradox was the Spanish producer Annie Hall. Someone else just emailed me the same information and yes it does appear to be the case alright. She is something of a powerhouse and has two MySpace profiles and a new 12" just released by old friends of mine, D1, and is incidentally playing their DEAF festival in Dublin later tonight. The world just got that little bit smaller! 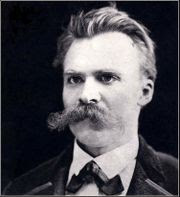 The track itself is called 'Zarathustra', which of course refers to the epic book by the German philosopher Friedrich Neitzsche, 'Thus Spake Zarathustra', from 1883. In my opinion the music is recognisably Muellerish, although the opening section reminds me at times of some of the sounds you find in the soundtrack to ‘Apocalypse Now’. It’s just the synth sound he is using that does it. The second section is pure atmospheric Mueller. As I said there are also female spoken vocals which go, "Christianity is really a misunderstanding. In reality there has been only one Christian and he died on the cross." This is repeated a number of times over the first section and then the line, "And if you gaze long into an abyss the abyss will gaze back unto you. ", which repeats to the end. These are both quotes from Neitzsche, the former is from his book ‘The Anti Christ‘(1888). The latter is from ‘Beyond Good and Evil’(1886). The more usual version of this quote puts it in a slightly easier to appreciate context I think, "He who fights too long against dragons becomes a dragon himself; and if you gaze too long into the abyss, the abyss will gaze into you.” I read TSZ probably 10 years ago by now and continue to read and lend it to others to this day. I’m therefore excited to see this project take this turn. Neitzsche himself said of this his most famous book, "With [Thus Spoke Zarathustra] I have given mankind the greatest present that has ever been made to it so far. This book, with a voice bridging centuries, is not only the highest book there is, the book that is truly characterized by the air of the heights—the whole fact of man lies beneath it at a tremendous distance—it is also the deepest, born out of the innermost wealth of truth, an inexhaustible well to which no pail descends without coming up again filled with gold and goodness.” I would recommend you reading it and finding this gold and goodness for yourselves or at least checking out some of the links I have listed below. By the way, moreno is Spanish for a tanned, dark or brown-skinned person according to Wikipedia. But what paradox is being referred to here, outside of the literal one, I am not sure. I wasn’t expecting anything so blasphemous from this or any of his projects but we must be careful not to judge it in such a surface way. I’ll keep you posted on any new developments but will reserve my final assessment till when I catch up to this latest and increasingly intriguing project. I’m sure the race is on between fans to put a video up to go with this track on YouTube but maybe they will do one themselves? Great full length documentary which I weirdly found and watched just a few weeks back myself. As I'm approaching my 100th post on DRL after nearly 4 years, I thought it was a good time to assess. I also know that the template design for Blogs are not great for locating specific previously posted articles. To help remedy this I have here done a kind of table of contents post for you and will very soon also have it running along the side bar, once I put it all into html. I have been asked so many times if I ever did an article on The Other People Place for example that I think it is worth doing! I also changed the background to black, think it's easier to read. I’ve included every single post so far in this table, on looking back there are a few I'd forgotten about but would I make any changes? I only wish I had expanded more in the articles on the Storm Series at the time, I certainly have more to say in my articles now, but that was me then. Although I have updated all the articles on specific releases, including the Storm Series, by now and will continue to do so when new info arises or when I or you notice a mistake, so you might find it worthwhile looking back at this stage yourselves. I also realised from doing this that there are a number of outstanding articles I still need to do, eg. L.A.M. and Clarence G but I will get there. As ever, whatever I write speculation wise is always just my own opinion but I hope you are getting something from it as I am. I’ve listed the Drexciya and Gerald Donald/Heinrich Mueller releases in order of release if you like following the story, but the other sections of the table are mostly in reverse order of posting. When I set up the website version of DRL I was trying to address just this issue but having both is good. You can still use this more easy to navigate site at the following link. I would also like to take this opportunity to thank all the people who have sent information to me, posted a comment or just read, it would not have been the same without all of you. Thanks to all the music makers involved as well! Here’s to another 100 posts! Hard to title some of these as there is often more than one subject, best to use the links themselves to guide you.